“They had no special schools, no disability specific sport sessions.” Nelio, Marco’s mother tells us his story from having no disability provision to realising his potential. Marco is a 15 year old boy with Autism and severe learning disabilities. Originally from Portugal, Marco and his family moved to England 4 years ago and have never looked back. Coming from a small town in Portugal set Marco back in his development as “Schools didn’t recognize disabilities”. There wasn't support, any SEN specific units or schools and children with special education needs, just had to struggle. It wasn’t just at school Marco didn’t get the support he needed but access to sport was also difficult. Nelio described that there were ‘no sports clubs like this’ - referring to our Community Club Lambeth. For Marco to take part in sport, he had to go to mainstream sports sessions, which in itself brought barriers. Coaches didn’t know how to support Marco’s additional needs, so he was simply refused entry. The one accessible swimming session Marco could attend, came with a heavy price tag. Fast forward 4 years later and Marco attends Michael Tippett SEN School and attends Community Club Lambeth, a multi-sport club for all disabled people. Since attending the club Marco has developed his personal skills which has helped at both school and home. Teachers and parents have both commented that Marco is now able to follow instructions, communicate with other people and even shows leadership traits. Not only have Marco’s personal skills developed, but his sporting skills have come on hugely too. So much so, Marco has recently won a medal at his school sports day! Marco's most eye-catching sporting achievement to date, happened spontaneously. Wheels for Wellbeing popped into Club Lambeth to deliver a cycling taster session and it’s safe to say Nelio and coaches were shocked at his natural ability! Take a look at the video - this is the first time Marco had been on a bike in his life and rode with NO support! 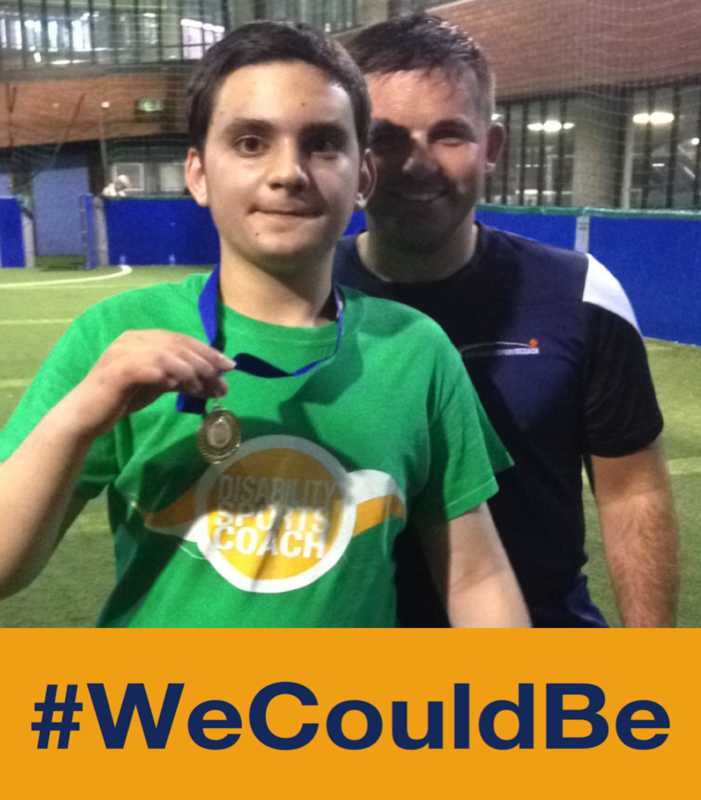 #WeCouldBe - Marco Mata - Cycling for the very first time! It just goes to show, that by having suitable activities and the correct amount of support, all people can achieve. We hope Marco can make up for lost time with his newly found cycling talent. Share Marco's story on Facebook, Twitter, Instagram or LinkedIn and ensure that inspiring stories go far and wide.